“As a travel writer, I experience a ton of brewery taprooms. Considering some of my most memorable brewery visits, I started to think about all the remarkable brewery taprooms out there. What makes a brewery taproom good-looking? Is it the beautiful renovation of an old building? The wear and tear of history? Is it a good view, or a bold personality? Maybe it’s all the above. Like beer styles, each brewery has its own unique recipe, and the personalities have grown increasingly diversified in their appearances over the years. 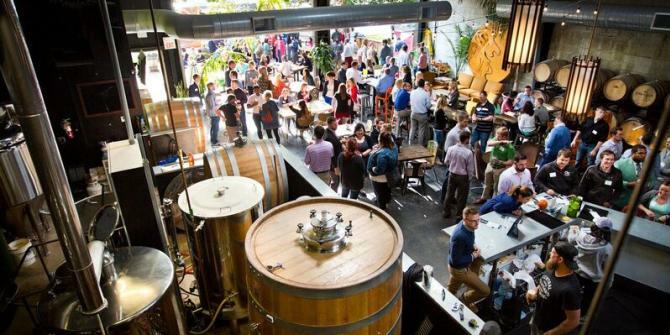 Here, we celebrate a few of these remarkable taprooms.